It seems like painting up starting warbands for Mordheim is the simplest thing to do; they are a nice interlude during larger projects. More pictures on my blog. The Reikland Lads look as WONDERFUL here as on L.A.F.. VERY WELL DONE! A nice start. The paintjob is clean, not too bright, not too bleak. I like the bases also. Nice work! 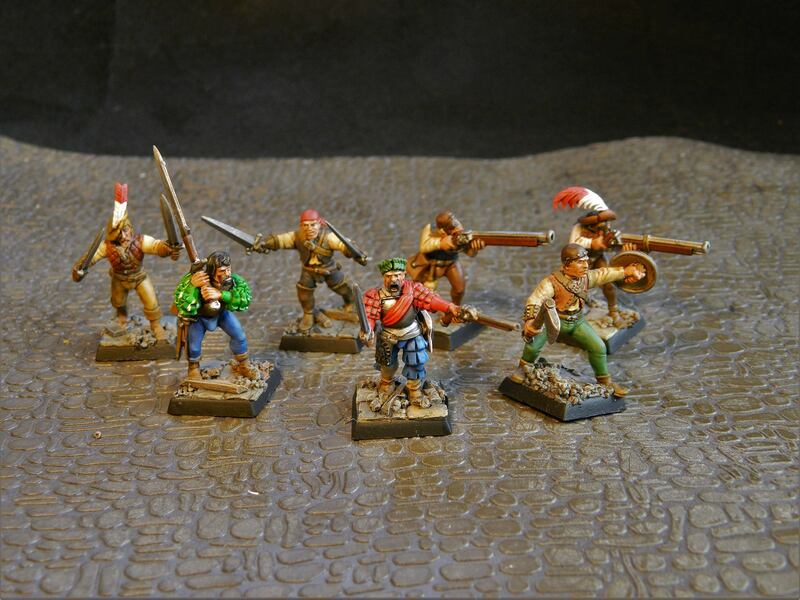 Very classic style, with the selection of models & the bright colours, with just that hint of dirt & weathering to fit right into Mordheim. Grand stuff.